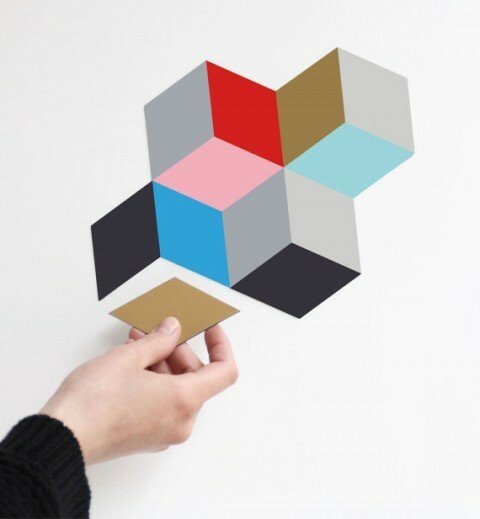 duh, we love geometric shapes. and fantastic colors, of course! here are a few things that caught my eye this morning while sitting on the sofa under the ceiling fan. 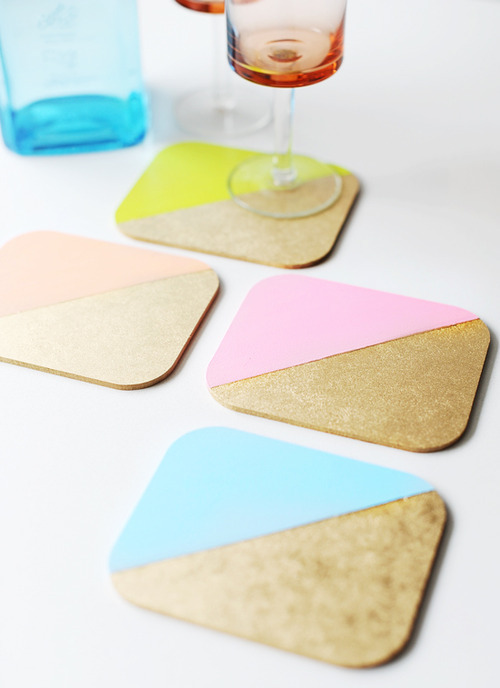 probably have to have these coasters, which are, of course, a DIY! Poppytalk sent me over in the direction of Babble, which had a pretty great collection of weekend projects (two of which you’ll see here). although i think i might have to try to find absorbent stone tiles or maybe just use some paper coaster blanks—-here in Texas you’ve got to be able to soak up the condensation. non-porous coasters just stick to your cup and spill water all over. i love these! i could absolutely play with these for hours, as Tina over at Swiss Miss accurately explained. 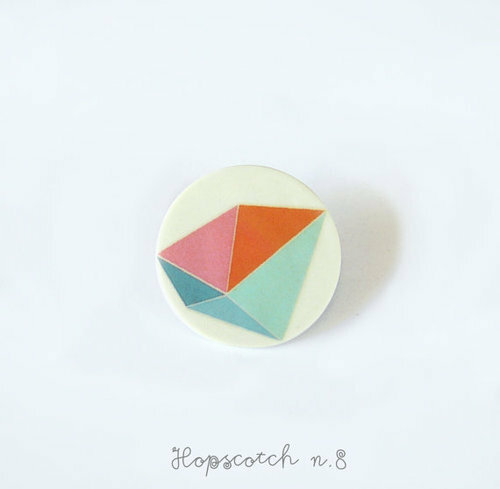 made by Snug Studio out of Hanover, Germany, you can typically find them in their Etsy shop here. while they’re currently sold-out, i imagine they’ll be back up there sooner than later! 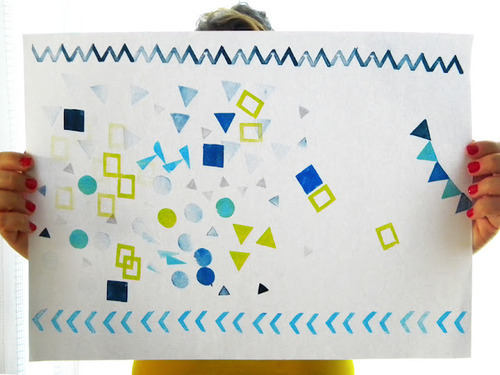 another DIY found on Babble, the Etsy Greek Street Team shapes up nicely with these simple geometric stamps are added to the top of my queue! our rubber stamp collection is growing, and i think these need to be a part of it. for those not quite so DIY-inclined, may i suggest Simon’s Stamps? They have been our go-to for custom stamps (we opt for the classic looking wooden handle versions which are also very affordable). they’re quick, easy and high-quality and William would want me to mention that they’re made in the USA. 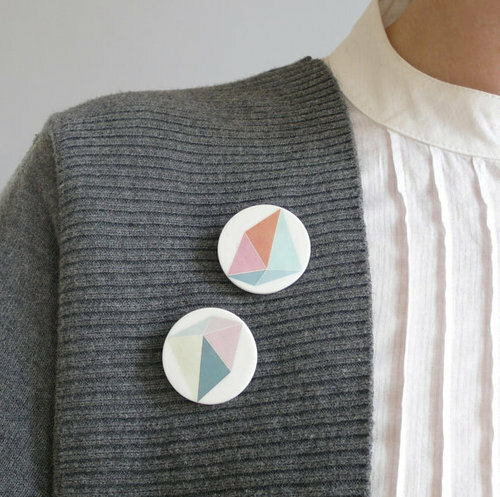 Bloesm included these beautiful brooches from Atelier Gilet on their list of things they like, and i’ve determined that we like many of the same things. 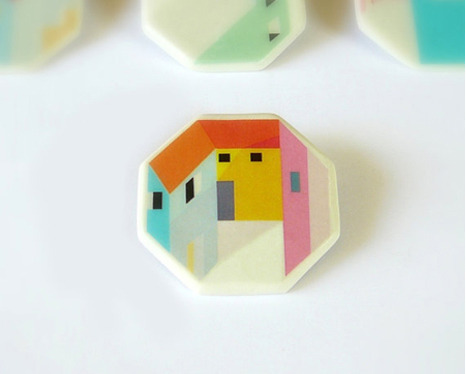 the entire collection of geometric ceramic pieces are pretty drool-worthy, in my opinion. i just love this. 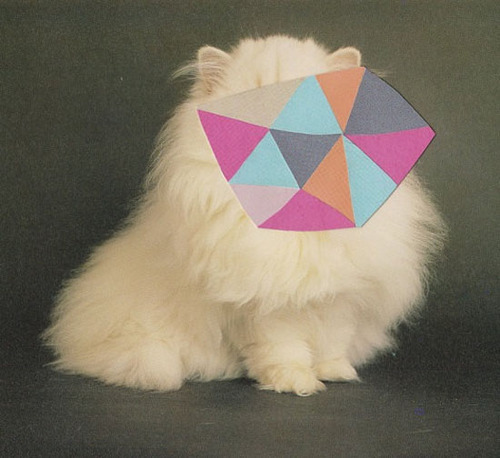 the “collaged cat print” from Rachel loves Bob makes me smile, and rounds out our collection of shapely stuff for today! via Whorange who found them on Frankie Magazine.